A client with tens of thousands of B2B customers wanted to optimize service level in logistics while being cost effective. Optimization of logistics is a complex discipline. One of the main challenges is to analyze a large amount of input data and while making the results easy-to-read. That is why we used our interactive vector map for this analysis of frequency of deliveries. The vectors in the map represent micro-regions corresponding to ZIP code regions, major cities and other infrastructure elements such as highways and major roads. Each vector has its own internal code. 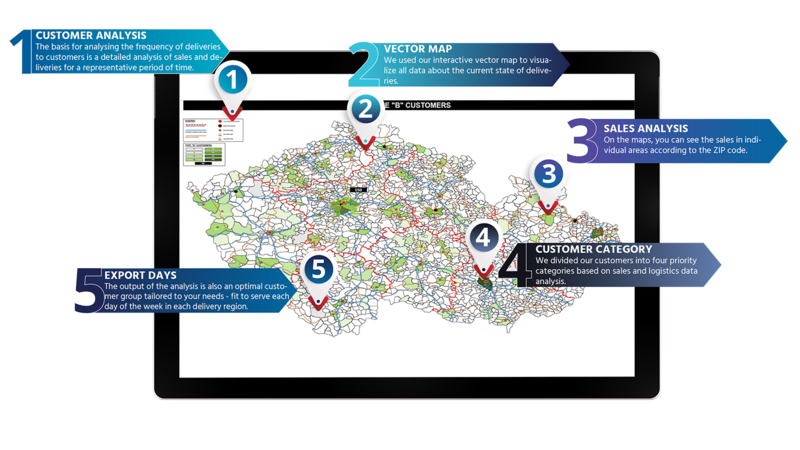 With a code assigned, it enters the calculations needed to analyze sales and logistics data in each micro-region. We analyzed the number of customers in each region and the volumes of goods delivered to customers. Subsequently, we looked at the data on shipments and the frequency of deliveries for each micro-region (ZIP) during different times of the year. Based on the results of the previous analysis, we divided all customers into four categories based on the volumes of goods delivered and seasonality. 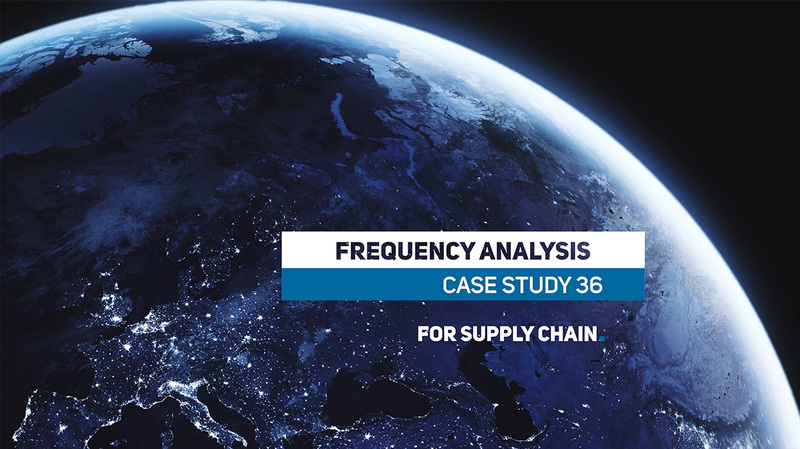 Thanks to this overview and customers categories, the client was able to adjust the service level and priorities in logistics according to the importance of individual customers. Efficient distribution saves distance driven and thus finances. Based on the results of our analysis we created maps for individual delivery days of the week – Monday to Friday. Each day has its own map indicating individual micro-regions to be serviced by the regional logistics partner on that day. The vector map allows to visualize any data which can be related to ZIP code or other geocoding parameter. It can, therefore, be used in a wide range of projects, for example in analysis of logistics network and localisation of regional distribution centers. We can also offer a number of other services related to logistics networks, from complex studies to finding optimal locations for distribution warehouse.